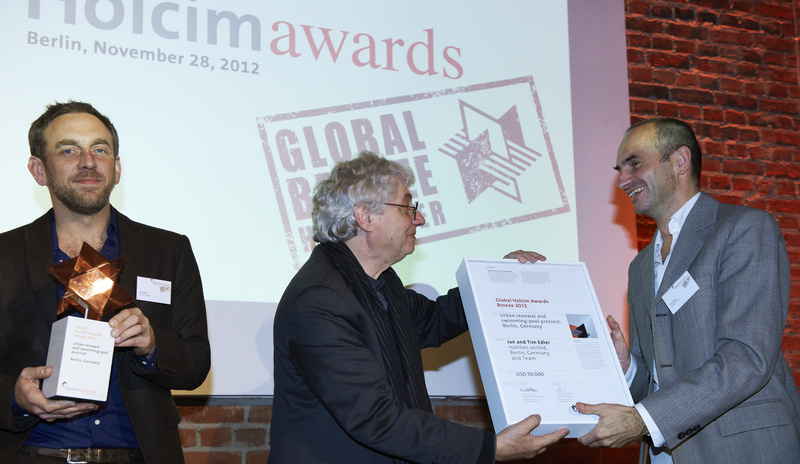 Trophy presentation (l-r): Rolf Soiron, Chairman of the Holcim Foundation and Chairman of Holcim Ltd; Jan Edler, winning architect, realities:united; Mario Botta, renowned architect and member of the jury; Regula Lüscher, Senate Building Director of the City of Berlin; Tim Edler, winning architect, realities:united. 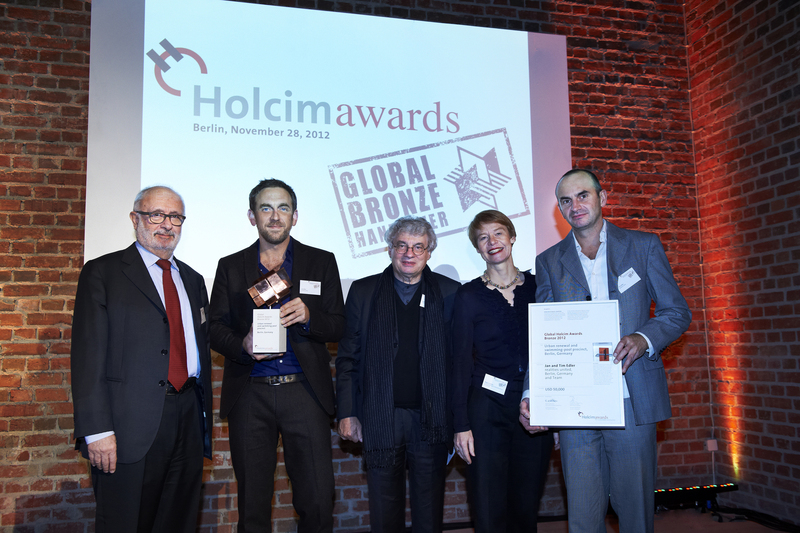 (l-r): Jan Edler, architect from realities:united and winner of the Global Holcim Awards Bronze 2012 holds trophy while Mario Botta, renowned architect and member of the jury congratulates Tim Edler, architect from realities:united and winner of the Global Holcim Awards Bronze 2012. 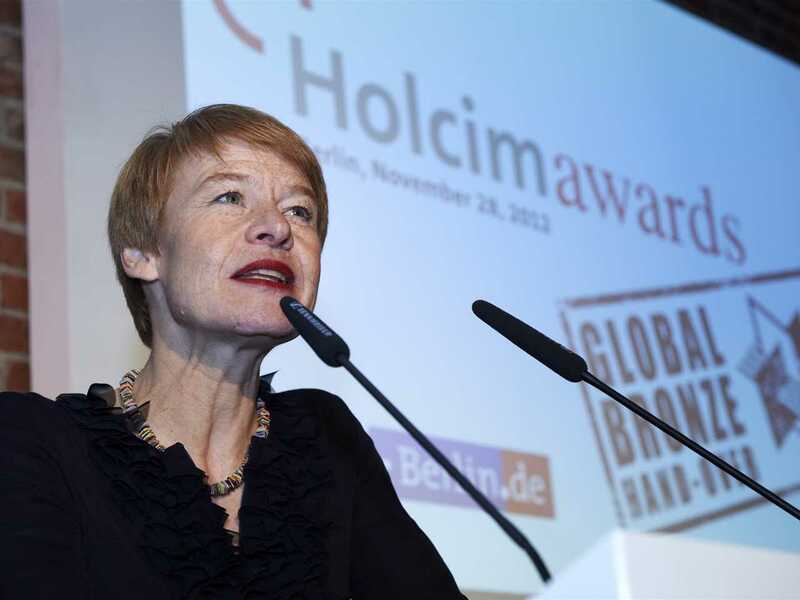 Rolf Soiron (left), Chairman of the Holcim Foundation and Chairman of Holcim Ltd congratulates Jan Edler, architect from realities:united and winner of the Global Holcim Awards Bronze 2012. 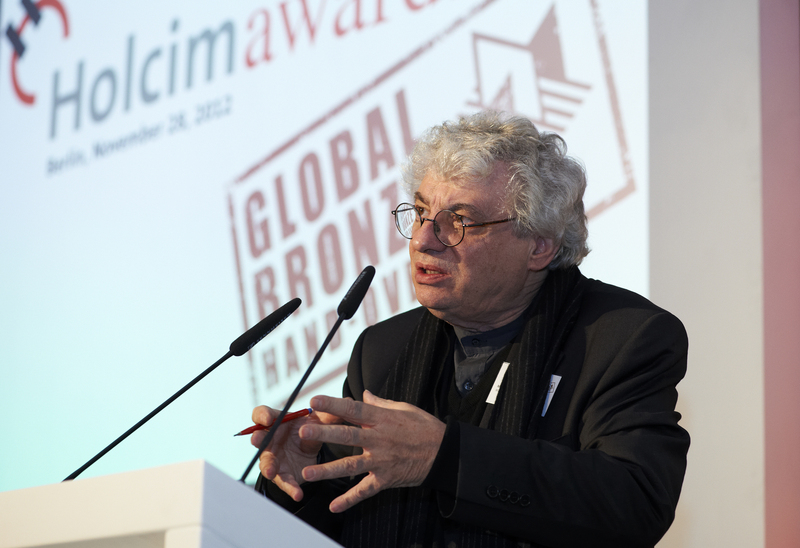 Johann Aeschlimann, Counsellor of the Swiss Embassy, Department for Culture and Education. 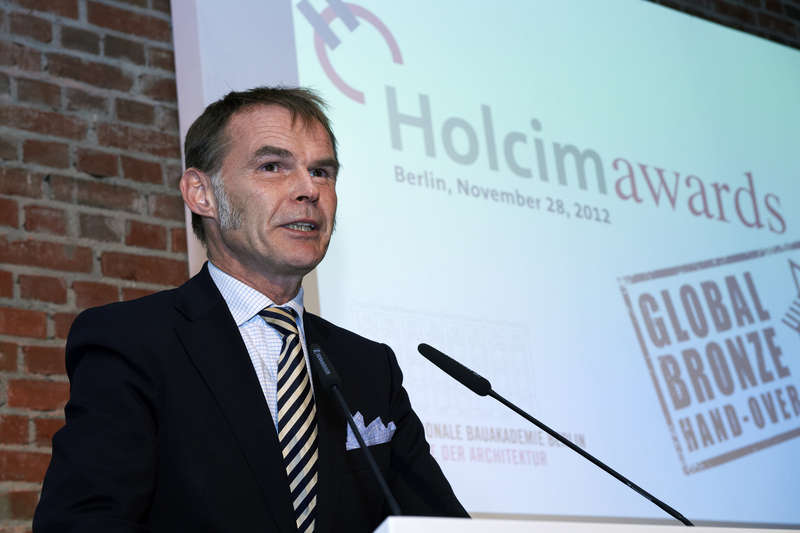 Paul Kahlfeldt, Executive Manager of International Bauakademie, Berlin. 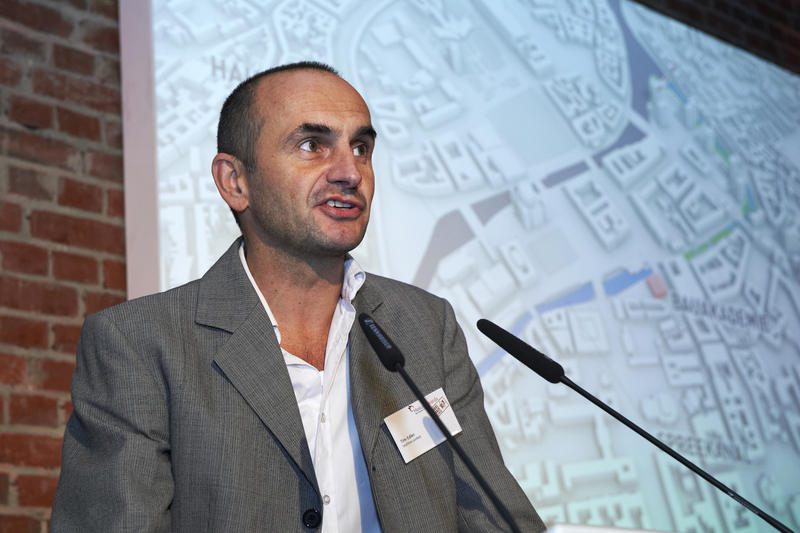 Tim Edler, architect from realities:united and winner of the Global Holcim Awards Bronze 2012 explains how the “Flussbad” project to remediate a disused arm of the River Spree in Berlin aims to improve urban life – creating a recreation area in the center of the city and also giving an impetus for change in the way we value rivers. 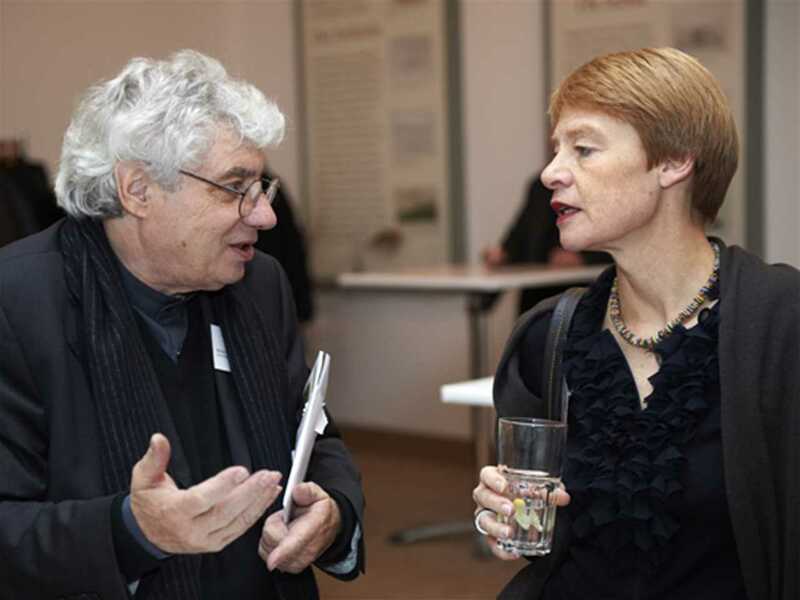 Mario Botta (left), renowned Swiss architect and member of the Global Holcim Awards 2012 jury and Regula Lüscher, Senate Building Director of the City of Berlin. 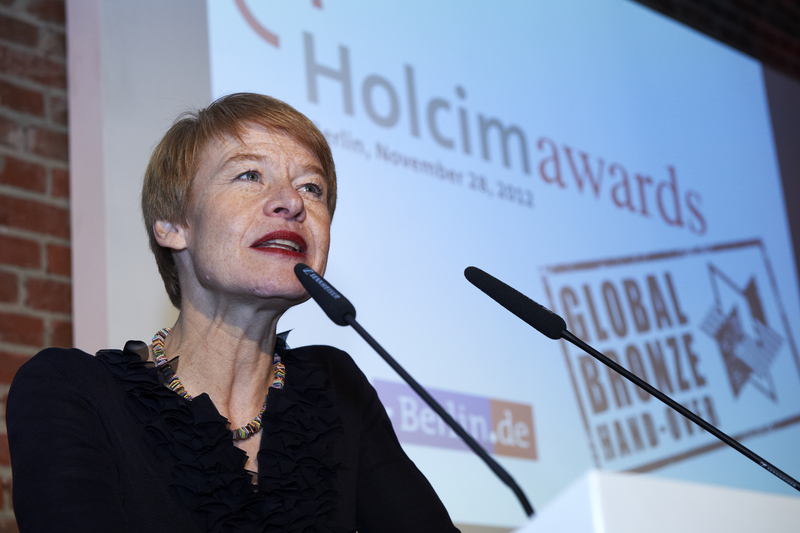 Regula Lüscher, Senate Building Director of the City of Berlin. 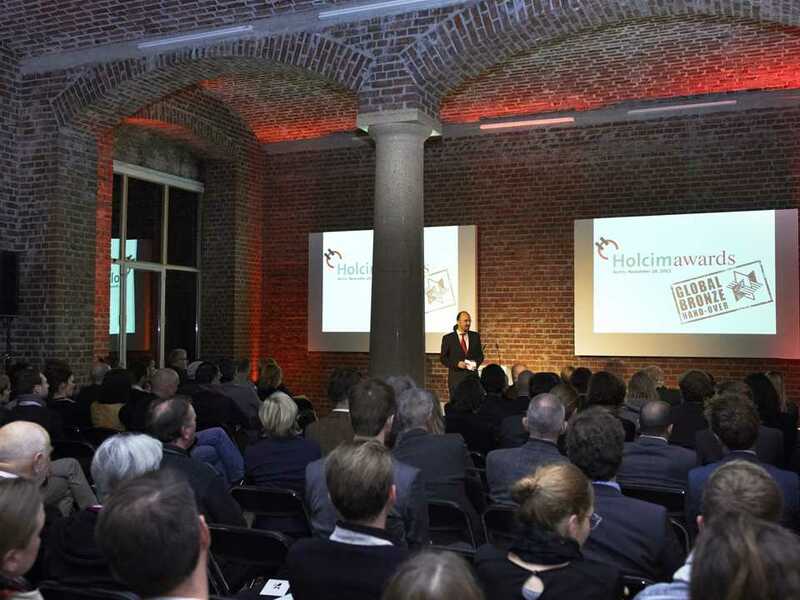 The handover event was held at the Internationale Bauakademie in Berlin. 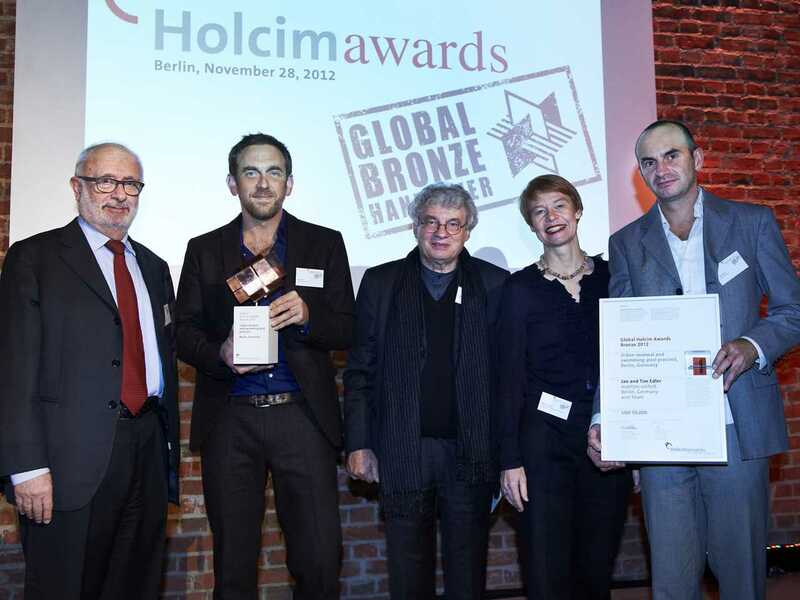 An urban plan by Jan and Tim Edler of realities:united to transform an under-utilized stretch of the River Spree in Berlin into a 745m-long natural “swimming pool” was presented with the Global Holcim Awards Bronze 2012. 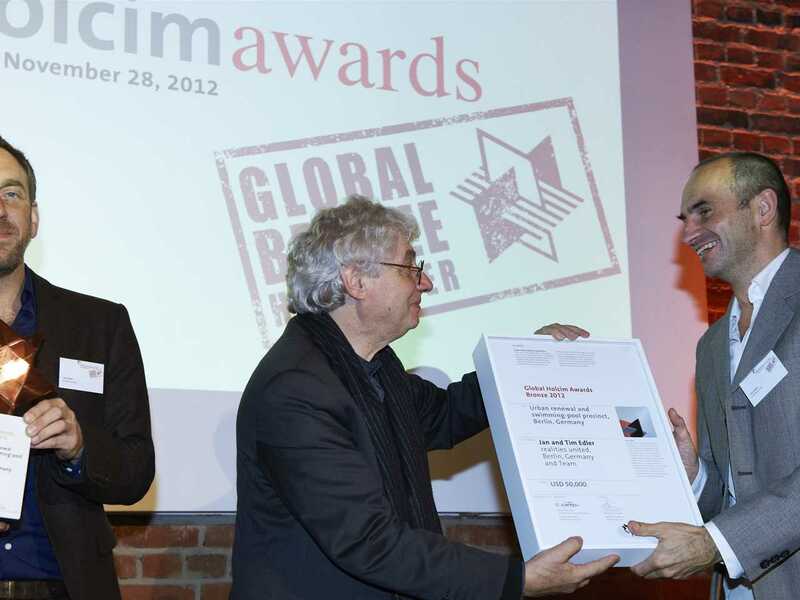 The handover of the prize including USD 50,000 was held at the Internationale Bauakademie in Berlin. 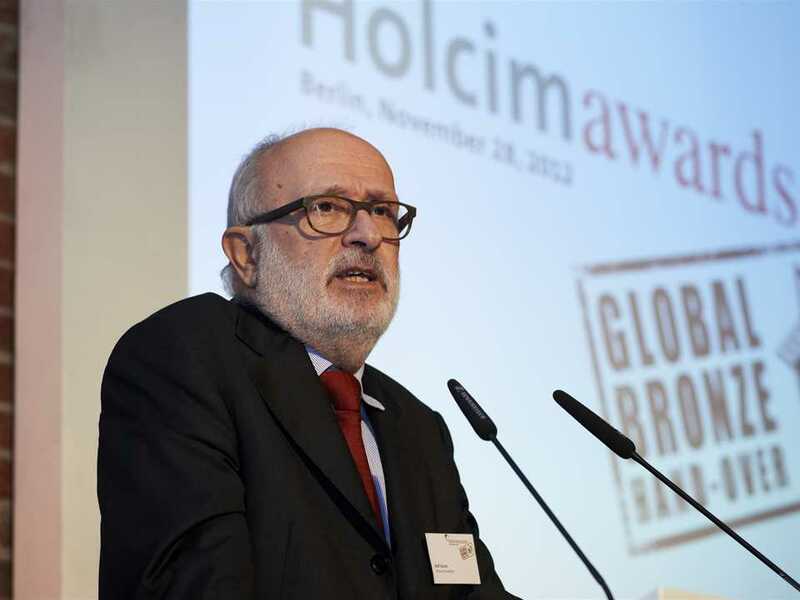 Amongst the speakers were renowned Swiss architect, Mario Botta; Senate Building Director of the City of Berlin, Regula Lüscher; and Chairman of Holcim Ltd, Rolf Soiron. In the regional phase of the third Holcim Awards, the Flussbad “Urban renewal and swimming-pool precinct” received the top prize for Europe and thereby qualified for the global competition. 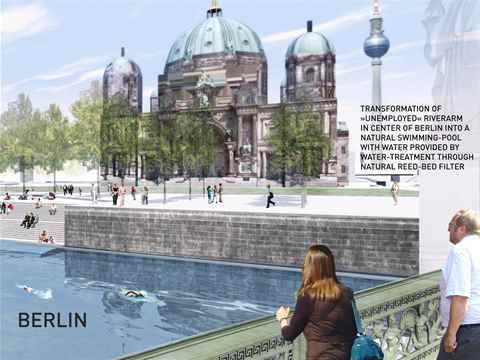 The project in the heart of the historic city of Berlin provides a public urban recreation space for both residents and tourists and features a 1.8 hectare reed bed natural reserve with sub-surface sand bed filters to purify the water. 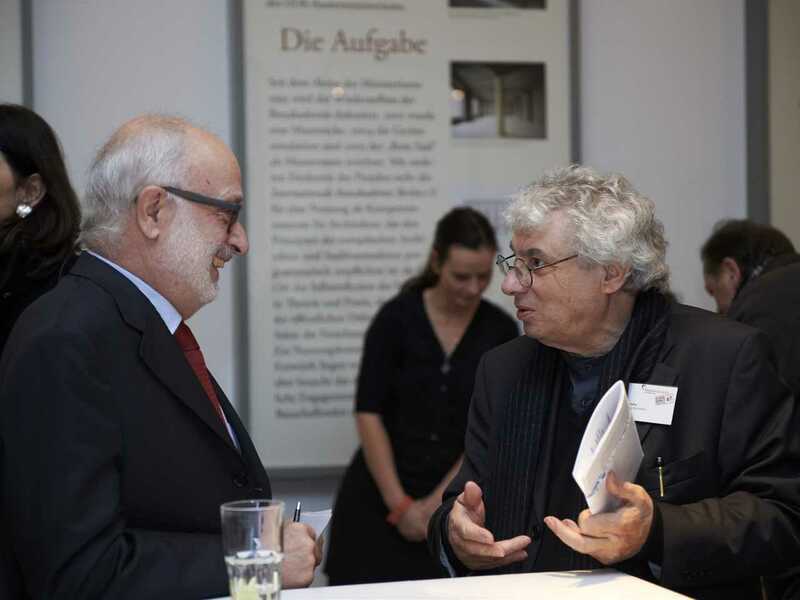 In the global phase of the competition, an independent jury chaired by Mexican architect Enrique Norten again selected the Flussbad project to win a prize. 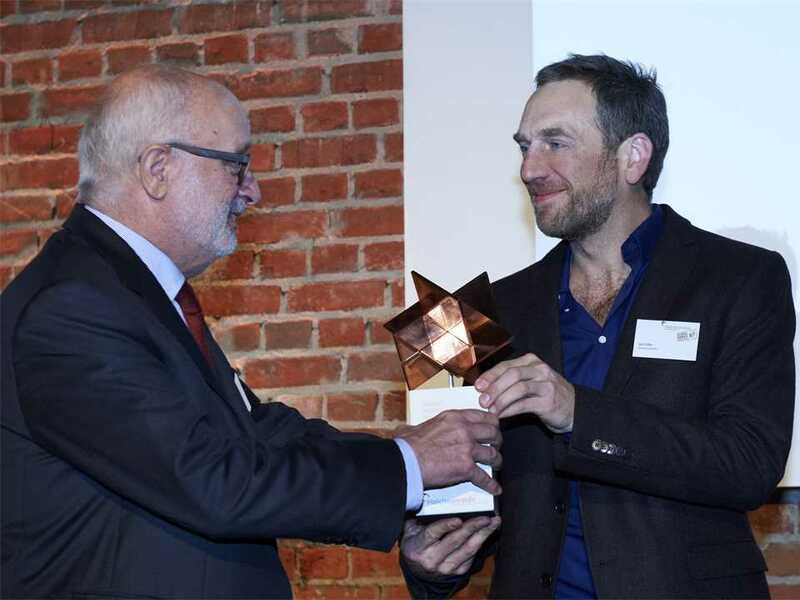 The jury was impressed with the concept to reinvigorate an under-utilized arm of the River Spree: “The project creates a direct and strong impact on the quality of urban life and positive ecological contribution through remediation of the city’s waterways”, Norten said. 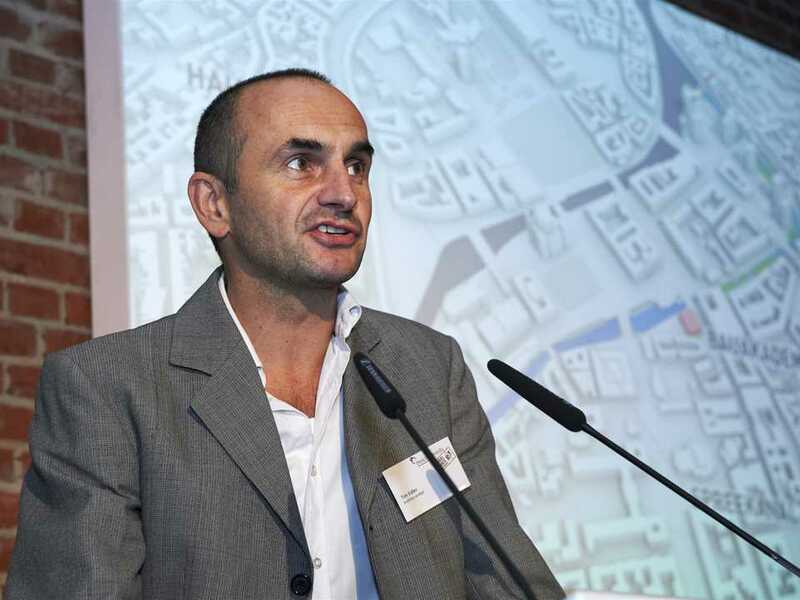 With the concept to enhance and diversify the use of the river, the project is not only to create a large swimming pool, but also a playful recreational facility for residents and visitors. 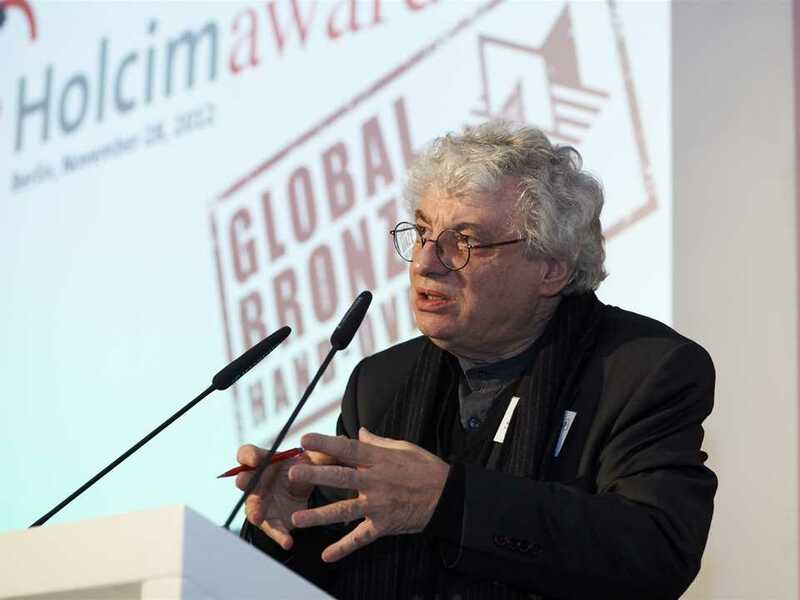 “The project is a poetic metamorphosis of a hardly defined public space in the culturally- and historically-charged center of Berlin”, praised architect Mario Botta, a member of the global Holcim Awards jury officiating at the prize hand-over. 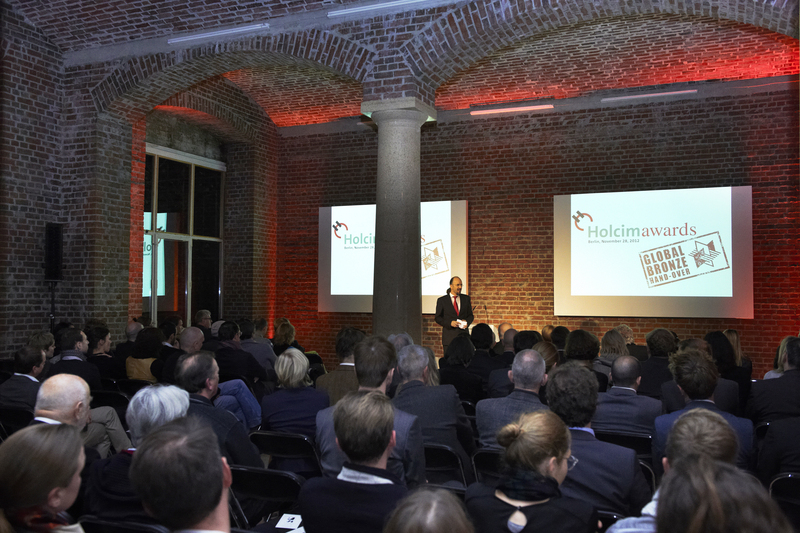 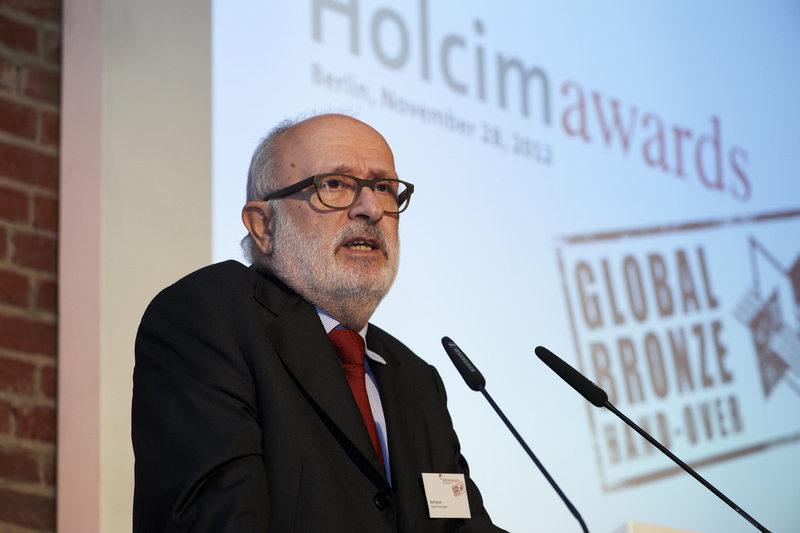 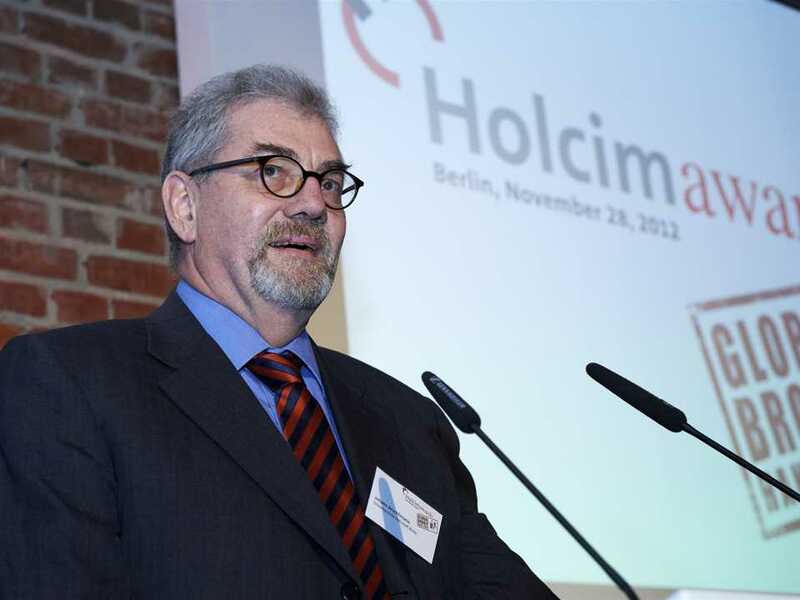 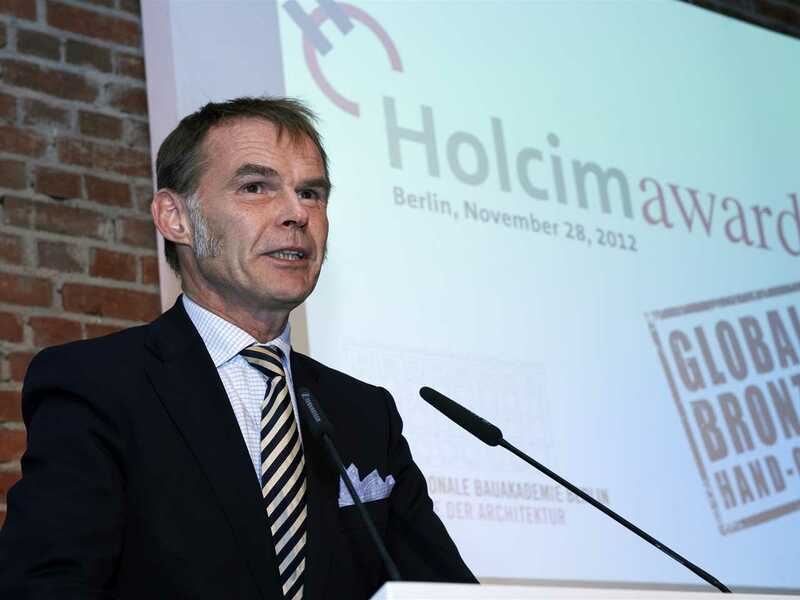 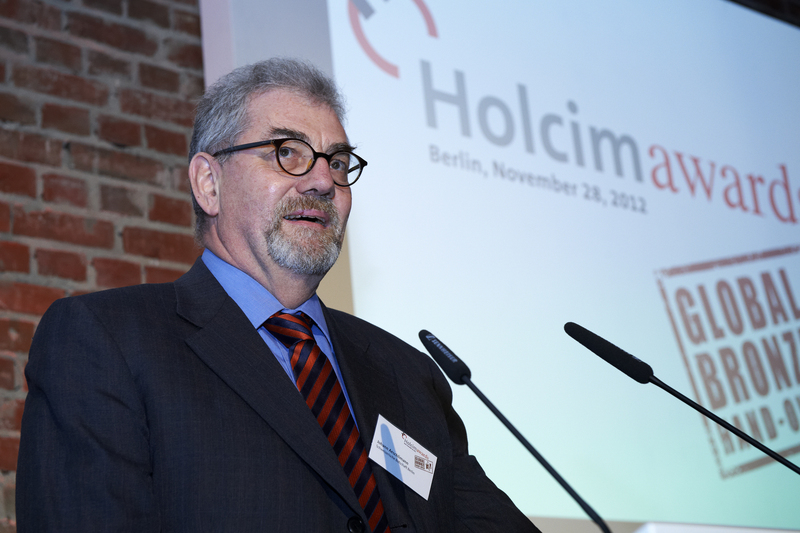 Chairman of the Holcim Foundation and Chairman of Holcim Ltd, Rolf Soiron, congratulated the prize winning team, and emphasized the importance of sustainable construction for society – both today and tomorrow. 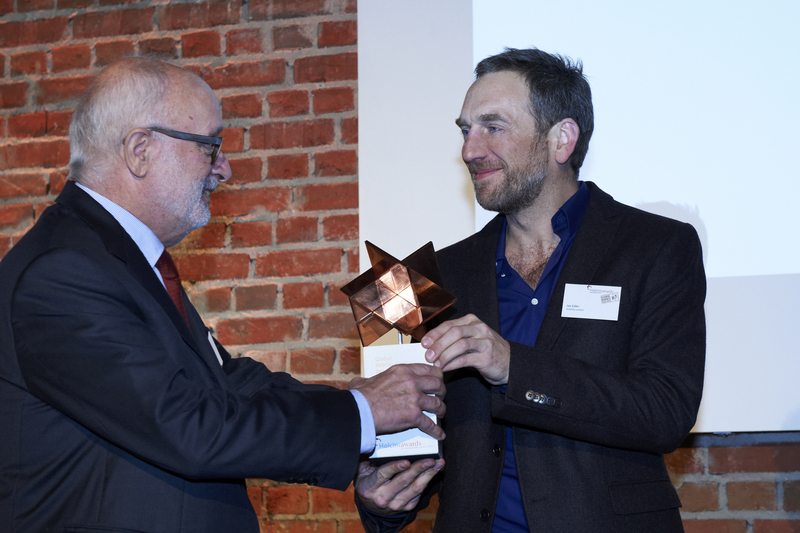 “In addition to a greater focus on improving sustainability performance in the built environment, there must also be room for unconventional ideas, such as the Flussbad,” he said.